The complexities and tragedies arising from teen violence are problems faced on every continent in the world. 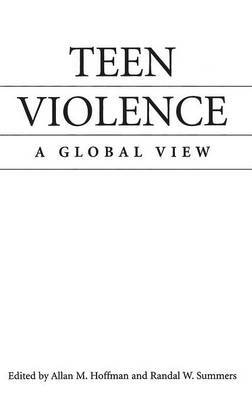 Fourteen case studies of carefully selected countries, representative of every region of the world, are presented in this absorbing volume that is the first to examine the causes and possible solutions for the problem of teen violence around the world. Students and teachers can make cross-cultural comparisons to discover how the problem is viewed in different countries, how the problem is changing, which factors seem to contribute to the rate of teen violence in almost all of the countries and which are unique to specific countries. Readers can also take a fascinating look at the various solutions to the problem that have been proposed and tested throughout the world. Each chapter is divided into similar subsections, so students can easily compare specific topics among different countries and cultures. They will find that the perception of teen violence in different countries does not always reflect the reality. They can discover how such factors as drug use, family dynamics,and educational settings play an important role in teen violence across many different cultures, while also discovering the unique settings and situations that contribute to violence in unfamiliar cultures. This world view will help build better understanding of how social issues affect all societies.